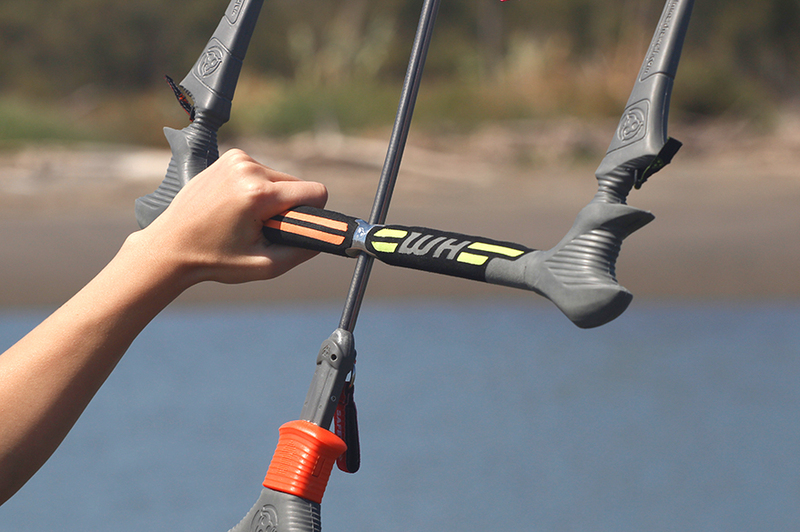 4 lines setup together with compact V-bridles provide direct handling and response when controlling the RG 3.1 kite, as well almost automatic and effortless re-launch. Each RG 3.1 size has its own, unique profile shape and is designed individually in order to provide a similar feeling and maximize performance. 3-struts, low aspect profile design ensures maximum stability in all wind conditions. 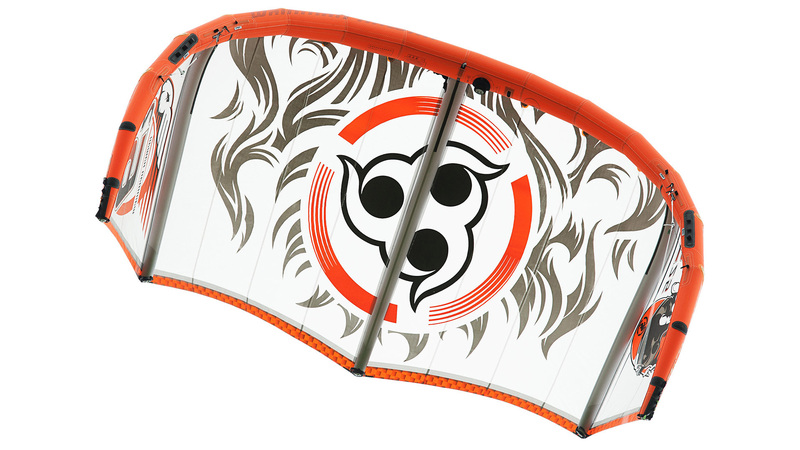 RG 3.1 has incredible low-end grunt that lets you launch quickly and with minimal input from the pilot generates lots of energy when the wind is marginal. It also has a great depower that can be utilized when you need to handle stronger winds. Where is the real fun in kiting? It is catching air! No matter if you can already boost the biggest air or if you’re still working on jumping over surfboards. What matters is the feeling. The key is the sensation of flight. Feel that RG 3.1 high. 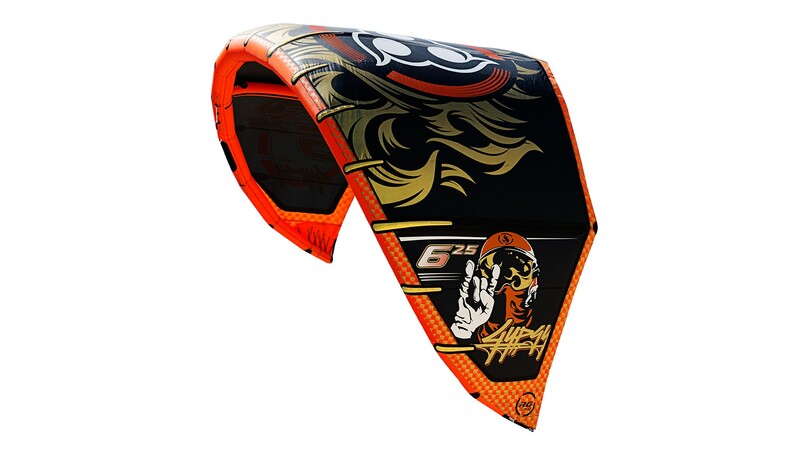 To perform well in all aspects of kiting disciplines, a kite should turn quickly. But it also has to be stable on course and very predictable. Both beginners and advanced riders really appreciate this combination that the RG 3.1 offers. By turning quickly RG 3.1 creates a powerful extra pop that can pull you out of the water like a cannonball. 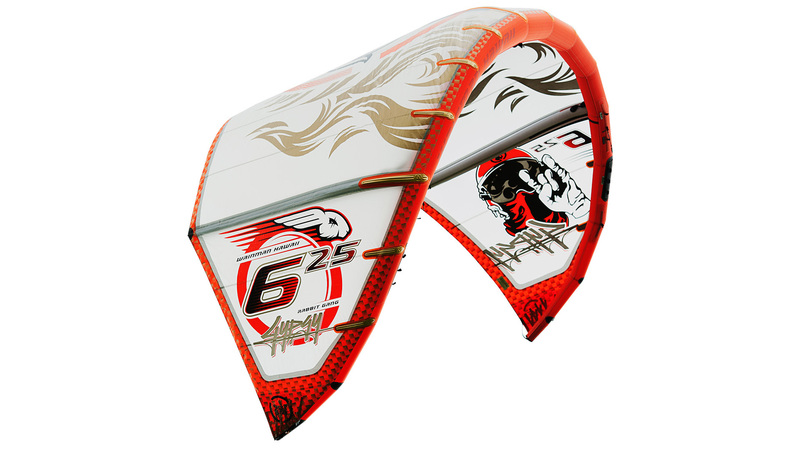 And for those who want a bit slower steering when the wind picks up, RG 3.1 can be slowed down by easily changing the position of the back lines to the SLOW position on the kite tip. 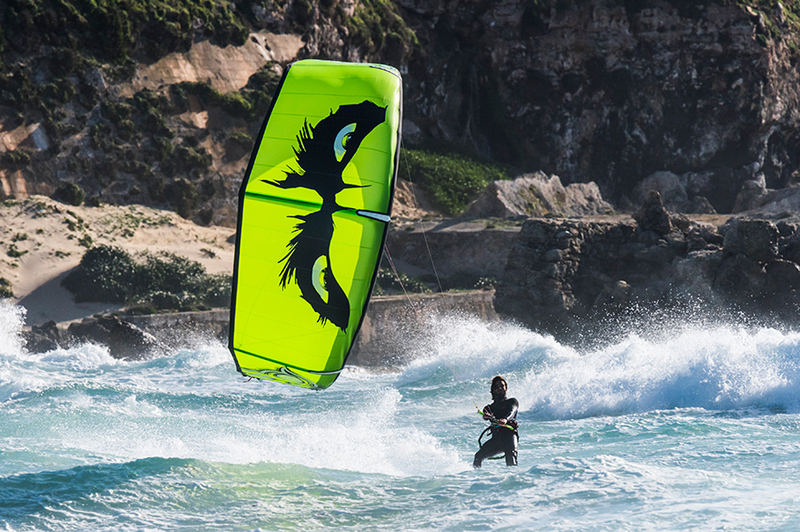 Whether you want to shred more waves, boost big jumps, or just enjoy a great day of free riding, you want the ability to come back upwind - fast. RG 3.1 was designed to not let you down, even when the wind is getting lighter it will bring you back to where you started. Surfing with a kite is one of the most amazing feelings and when the waves are firing at your spot, you want to be equipped to seize the moment to its fullest. RG 3.1 has great turning and drifting ability, and reacts directly to your inputs, so you can choose where on a wave you want to be instead of it choosing for you. 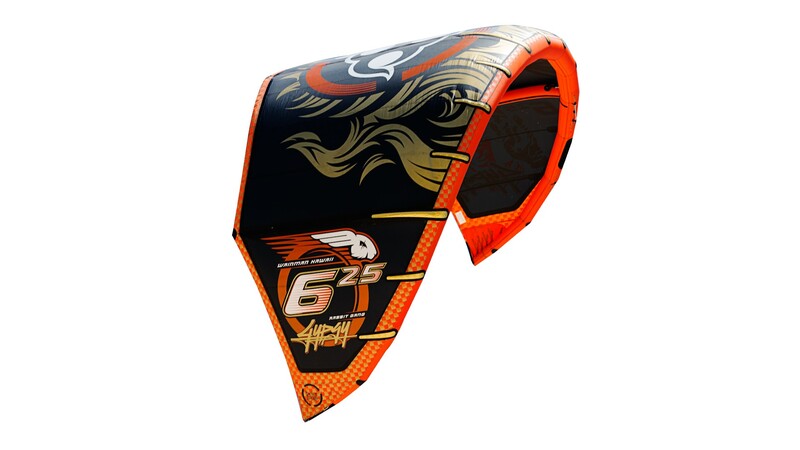 The settings on the kite give you the freedom to choose where you want your kite to be in the wind window. Considerably shortened distance between harness loop end and bar shaft. The 3rd generation of our flagship product has once again gone through a defined & strategic refinement process while maintaining the legendary Rabbit unique feel and performance characteristics. With a near perfect recipe for an all-round kite, the R&D department was very cautious to make fine adjustments in order to improve the product. There is always room for minor improvements and updates that will enhance the Rabbit Gang series kites without altering the core DNA. 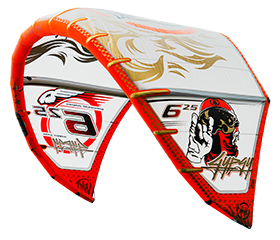 These improvements provide an overall difference to the complete kite package and it's unique performance.The R&D team has maintained the performance in each size, while focusing on improved construction and features of the complete package (Kite/Bar/Bag). 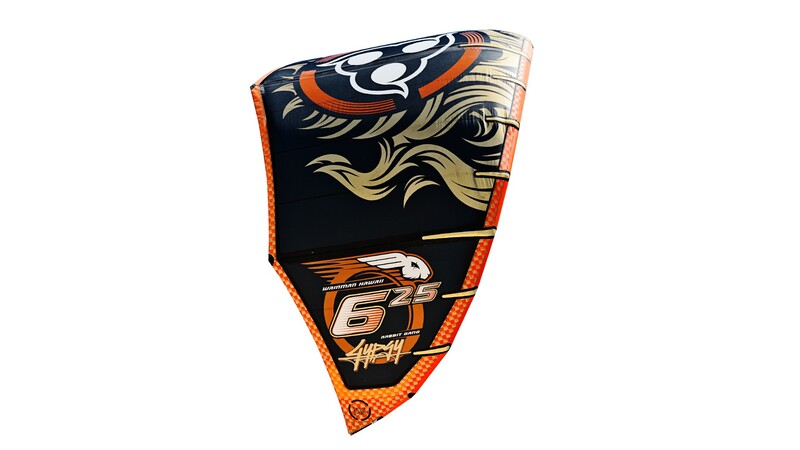 The RG 3.1 kite boasts excellent upwind and jumping performance combined with the legendary Rabbit power delivery, stability, re-launch, depower abilities and wind range separate the product from any other in the industry. The entire Rabbit Gang 3.1 range now offers a new canopy color, single point inflation system (Rabbit Air Flow - RAF) with a new quick inflation/deflation valve, new robust system of bladder valve welding, new front bridle system and rapid inflate big pump with gauge. Additionally, the RG 3.1 offers durable construction, adjustable bar pressure, direct and responsive handling and a proven/improved safety system. 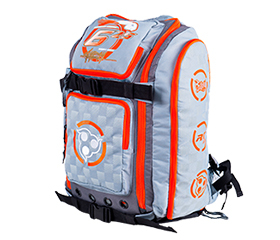 The RG 3.1 package is completed by the improvements to the control bar (RG 3.1 control bar) and the redesigned RG 3.1 kite bag. 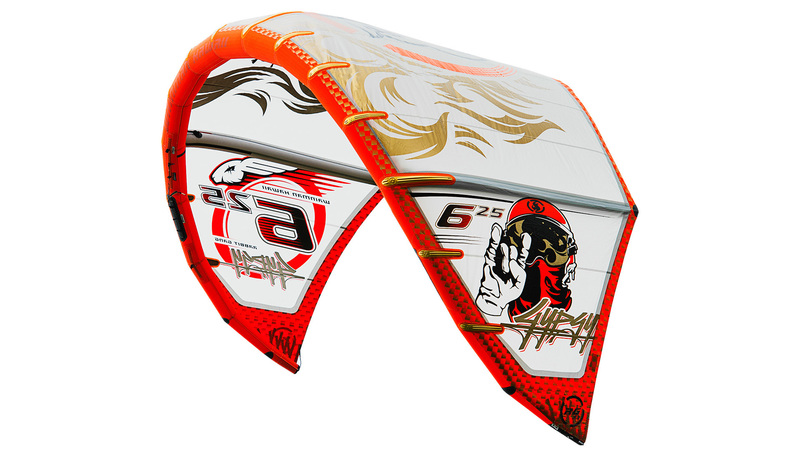 During the improvement process of the new RG 3.1 kites and bar, it was our priority to continue development of this legendary product to achieve the same result as in the past - no matter if you are a seasoned Rabbit rider or a potential new one to the gang, when riding the RG 3.1 kites you will be ensured the best session of your life!! !